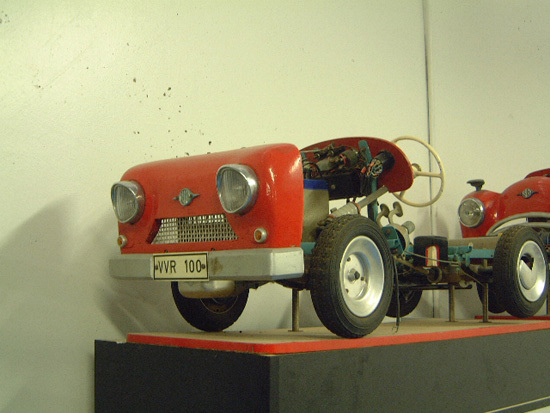 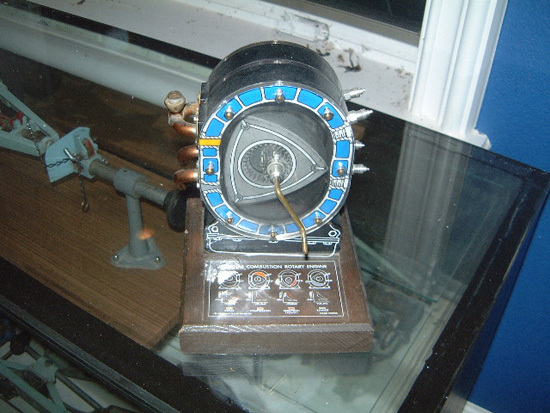 A front view of an early VVR school model with a noticeable difference in the grill. 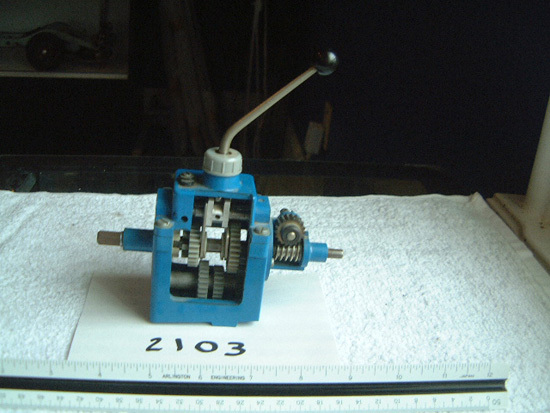 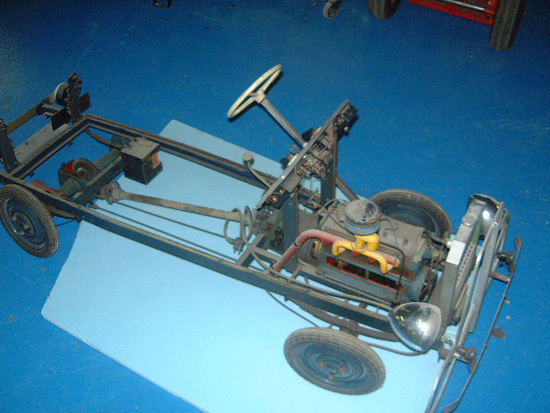 A 1950s German school model of a working 4 speed transmission. 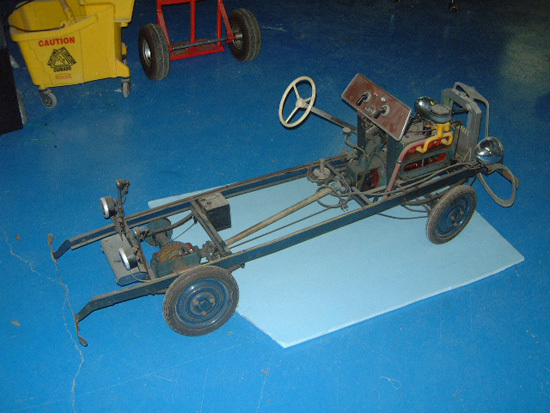 A very rare pre– war model of a German school model. 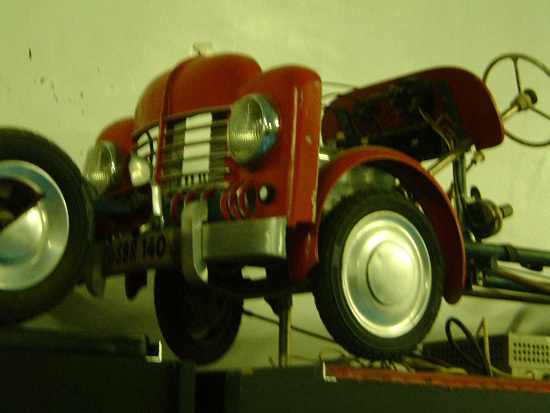 A 1950s German school model of front steering, brakes and suspension. 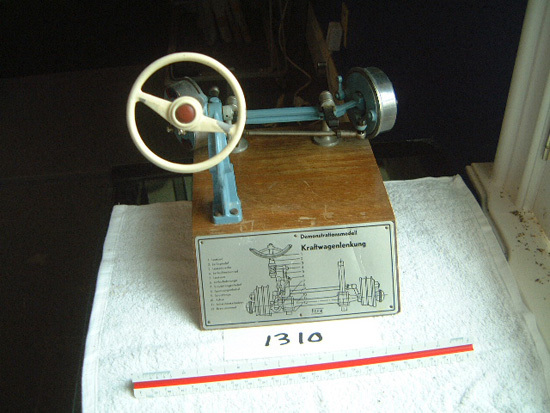 A 1950s German driving school model of a Wankel (rotary) motor. 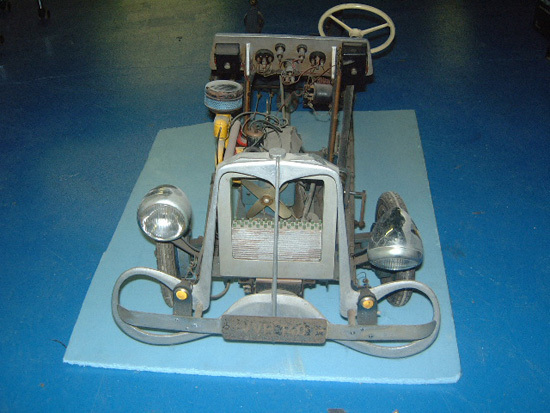 Felix Wankel researched internal-combustion engines in the 1930s. 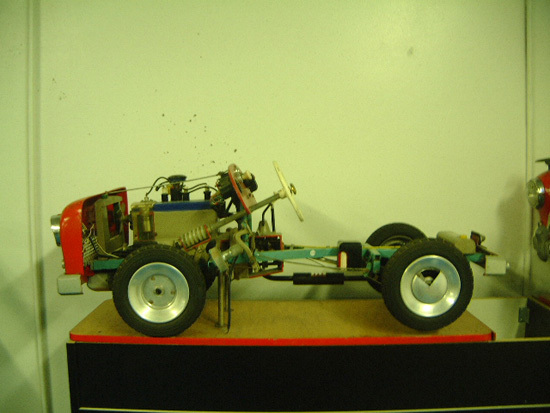 During World War II, 1939 through 1945, he worked in aeronautical research, but after the war he continued researching engines. 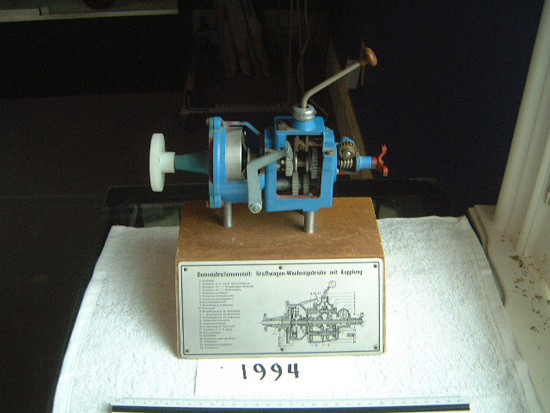 He produced a successful prototype of the engine during the mid 1950s. 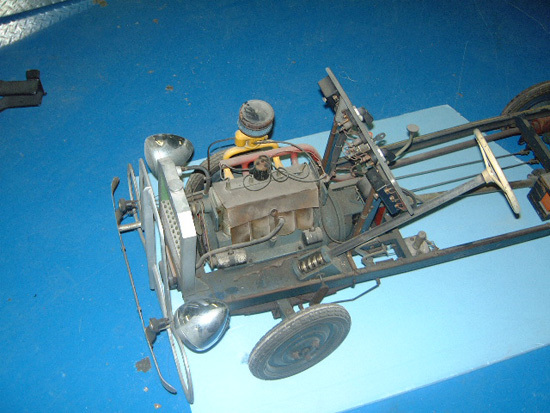 The first automobile fitted with the Wankel engine was the Spyder, produced during the mid-1960s by the company NSU (Neckarsulmer Strickmaschinen Union). 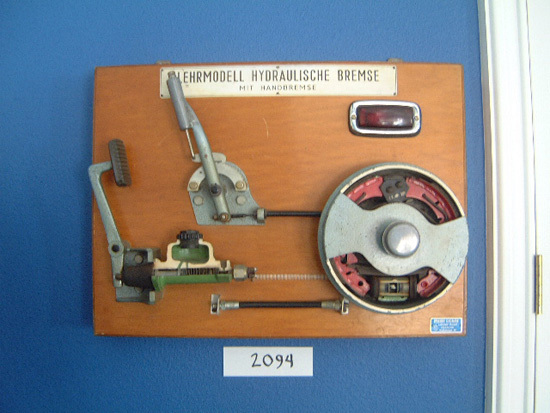 A 1950s German wall-mounted school model of a brake system (drum) with emergency brake. 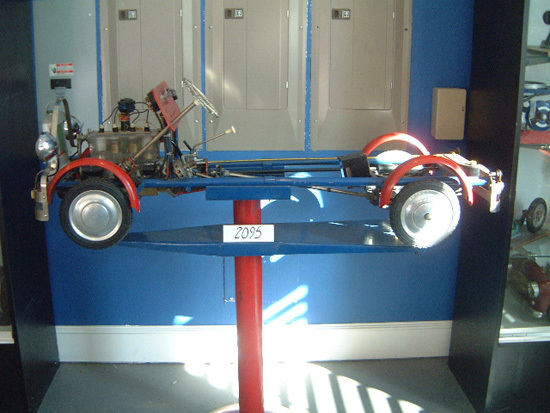 Another wall-mounted 1950s electric light demonstrator for traffic and RR crossings. 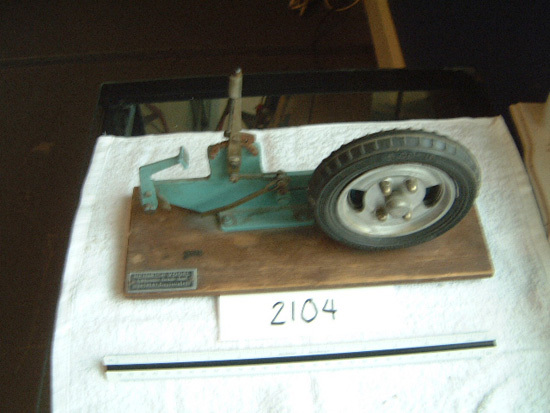 A 1950s German school model of a 4 speed transmission. 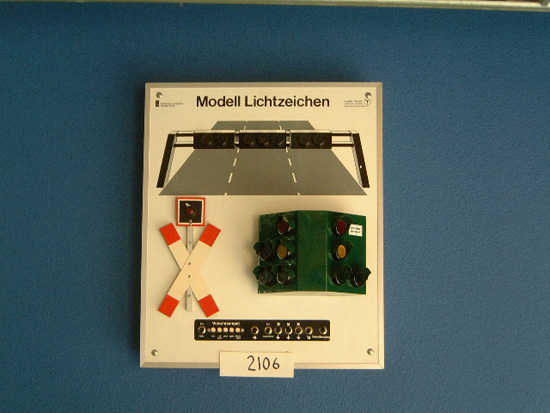 A wall-mounted 1950s electric light demonstrator for traffic and RR crossings..